The days are longer, the weather is warmer (ideally!) and if you’re like me, you may feel like it’s time for a change. Six years ago, that change was moving into our system built home and trying to imagine what the yard and landscaping might look like one day. Well, I’ll admit, we aren’t the fastest moving landscapers in the neighborhood:-/ Putting aside money for the extras seems to get pushed to the bottom of our budget. But, I have found ways to get around some of the expense by trading plant starts with my friends. I’ve also begun to split my stronger plants in half and move them around the yard, only to be able to do the same again the following year! 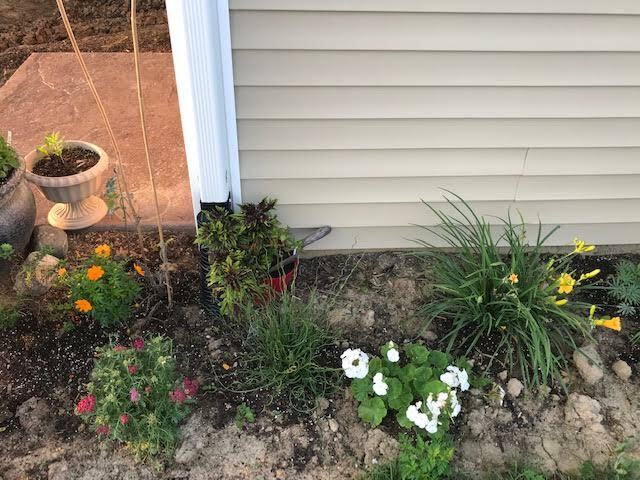 I started a holding garden (not my own term) on the side of our house where I let small plant starts grow strong for later transplanting. All of these small changes add up over time. Owning a new home and making it ours has become very rewarding. My parents always told us that anything worth anything, takes time. But with each passing year, our investment becomes more valuable, financially and emotionally. These are plants from last year in my holding garden…getting strong for spring!